In most sports, we learn how to compete as a team where each player makes a contribution. A team is coached to learn techniques, strategy and execution in order to win games. Over time, a team begins to compete by “playing their game” which means they have a fairly predictable way of playing against their competitors. In most cases, a team will lean on this approach when they begin winning their games on a consistent basis. That’s a good thing! For marketing your business, “playing your game” can work most of the time – and it should. Every so often, however, circumstances dictate a tweak or change to your marketing strategy. This is why you need to remain nimble and flexible. business can all impact how you “play your game”. Think about it from a sports perspective. How many times have you seen a football, basketball, baseball or other game where a team had to adjust their game plan in midstream? It happens because a quarterback successfully completes all of his passes; a point guard hits several 3-pointers in a row; or a pitcher strikes out every batter he faces. In each situation, the opposing team makes an adjustment because their “game plan” no longer works. They counter this by putting more pressure on the quarterback; double-teaming the point guard; and displaying a greater level of patience in the batter’s box to wear down the pitcher. In a similar way, always evaluate your marketing opportunities to determine if any adjustments are required. You have to size up your competition on a consistent basis so that strategic tweaks can be made to ensure you edge them out. Sometimes an aggressive competitor or unusual market circumstances may dictate your marketing adjustments. Maybe this means you have to place greater emphasis on a specific product offering or service solution to create a competitive advantage. It might mean you have to increase your market visibility to dilute a competitor’s advertising message or market presence. Whatever the situation, take action and avoid doing things the same way. When your marketing becomes mundane, the market may blow right past you. Complacency and ruts are dangerous. That’s why being flexible is important – it allows you to make strategic marketing shifts when needed. Design your marketing strategy in a way that works for your business, but also in a manner that creates opportunities to win. While the same marketing game plan may work most of the time, be prepared to modify your approach for those times when your marketing needs to be kicked into a higher gear. 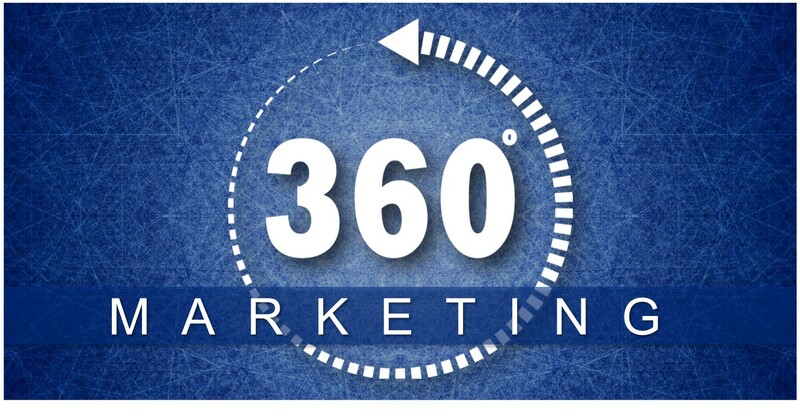 The Upstate Business Journal (UBJ) recently published our article on a different approach to 360 degree marketing. In this piece, we discuss how to involve your entire organization in achieving your marketing goals. Isn't that how it should be? We think so. Download the article here. In part one of “Getting the Most from Your Trade Shows & Events”, we covered the importance of selecting the right events that match up well for your business and how to plan for them to maximize your opportunities. In this part two edition, we will highlight the components that address team preparation, engaging booth visitors, networking and follow-up plans for a successful event. Committing to a trade show, conference or event means you have an investment in it which requires the right team of people to represent your company. You’ll need to have a well-balanced team consisting of those that have good customer service and selling skills, technical acumen, and an ability to interact with visitors. The last thing you want to do is assign someone to attend who is scared out of their mind to meet people. And, don’t just send your sales people without first defining their roles and responsibilities. In fact, your entire team needs to know exactly what is expected of them and what the objectives are for participating in the chosen event. Remember, attending an event isn’t a free vacation – it requires preparation beforehand and attentiveness while at the event. Prepare your team by getting them excited about representing your company and enthusiastic about the opportunity of engaging with prospects to generate business opportunities. At most trade shows, aisle traffic can be heavy and scheduled times for exhibit hall openings can result in a flurry of activity that is short lived. Because of this, you will want to be fully prepared and ready to engage with visitors to determine who is a prospect and who needs to be encouraged to keep moving. Wasting time on non-prospects means you are missing opportunities to spend time with those who need your solution offering or product. To avoid this scenario, quickly assess a visitor through a few qualifying questions to determine what to do next. Do it professionally and with courtesy as some visitors may represent partnership opportunities, become future prospects or result in good media contacts. For those that pass your qualifying criteria, have an action plan in place for next steps. Capture this in your CRM system so that follow-up plans are properly executed. You’ll want to do this for all of your visitors so that your CRM status codes indicate whether a visitor is a non-lead, prospect, partner, media contact, etc. Take advantage of the entire event beyond your exhibit. Trade shows normally coincide with a conference that includes educational break-out sessions and many networking opportunities. These represent great ways to meet those who may not stop by your exhibit. The food court is another place to mingle with others and introduce yourself while taking a break from your booth responsibilities. Many times, great conversations take place at break-out sessions, special networking events and in the food court. Don’t miss these opportunities. Put together a scheduled plan to attend these as time permits while at the trade show or event. 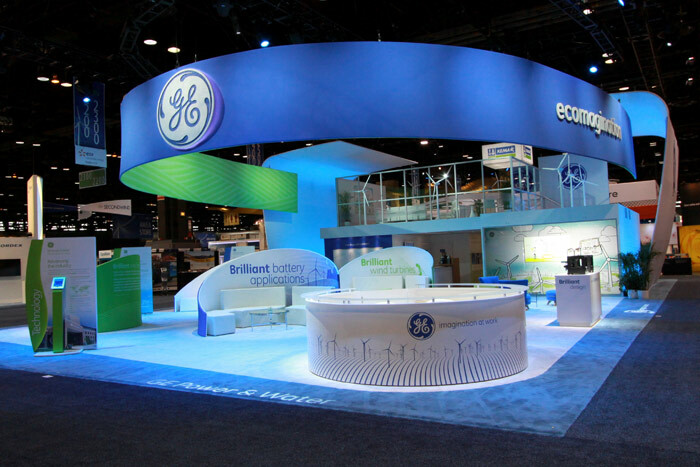 Getting the most out of trade shows and events boils down to your post-show follow-up plan. An alarming high percentage of trade show leads are never followed up. It’s very easy to return from an event exhausted with a shifted focus on catching up in the office instead of executing a follow-up plan. Without a system or plan in place, it’s not hard to understand why this occurs. But, it doesn’t have to be this way and you should never find yourself in this situation. Too much time and effort have already been invested by your company to forsake this process. A follow-up plan must be developed that clearly indicates what will occur with every contact met at your event - - including who will do it, when and why. Because you captured your contacts at the event with your CRM, you will already have their statuses and be on your way to implementing an effective follow-up plan. This activity is where your potential pay-off will occur. This is where you will determine if your event was worthwhile and if your investment will generate a healthy return. This is where it all happens to ensure you get the most out of your trade shows and events. Every spring and fall, the trade show and event season gears up with a flurry of activity, hype and promise. It’s an easy trap to fall into with the lure of event venues, popular keynote speakers and even the pressure to “be there” because your competition will be. But, before you jump right in, take the time to determine how trade shows can be a strategic marketing component for your business and then decide how best to approach them. Determining which shows make sense for your business will require some effort on your part. Research those that match up well with your buying market so that you can decide what type of presence is necessary for your company. Take into consideration opportunities beyond exhibiting such as landing a spot as a speaker and strategically participating in networking sessions throughout the event. Don’t just go to a show, throw up a booth and expect instant success. Be smart and selective. Once you have identified the trade shows that match up well with your offerings, define your show objectives early on and use those objectives as the drivers for everything you do in preparation and execution of your trade show presence. This includes agreeing on what you hope to accomplish, how you will meet your goals and the measurements necessary to ensure the objectives are met. Your action plan will help keep you focused on the primary goal of participating in the target event. With your initial plans in place for your trade show, you’ll want to turn your attention to promotion opportunities available to boost your show visibility. Through pre-show mailers, e-blasts and at-show promotions, your company will have several opportunities to make attendees aware of your participation. Give them a reason to visit your booth, attend your presentation session and meet with you at the networking events. When planning for your exhibit display, keep in mind that you have only 3-5 seconds to capture the attention of those walking the aisles. Visually stunning graphics with a few key message points will help make the connection to those you want to draw into your display area. Attempting to tell your entire business story on a booth is a mistake – leave that error to your competitors! And, plan an exhibit that is inviting, open and free-flowing. This will allow for a more pleasant visitor experience. Why spend money on giveaways that will end up in the trash or given to the family dog to chew up after the show? Choose giveaways with a purpose and that reflect well on your company and brand. Make it relevant and meaningful to your business. Cheap stuff of inferior quality will not bode well. Go with substance that makes a great first impression. Part 2 of “Getting the Most from Your Trade Shows & Events” will cover team preparations, engaging booth visitors, networking and follow-up plans for a successful event. The summer season is probably the most anticipated time of year: school is out; baseball season is in full swing; the weather is warm; pools are open; people head to the beach; vacations are taken…and more. It’s also a time of year when we find ourselves busy with “other things” that can easily distract us from our business. 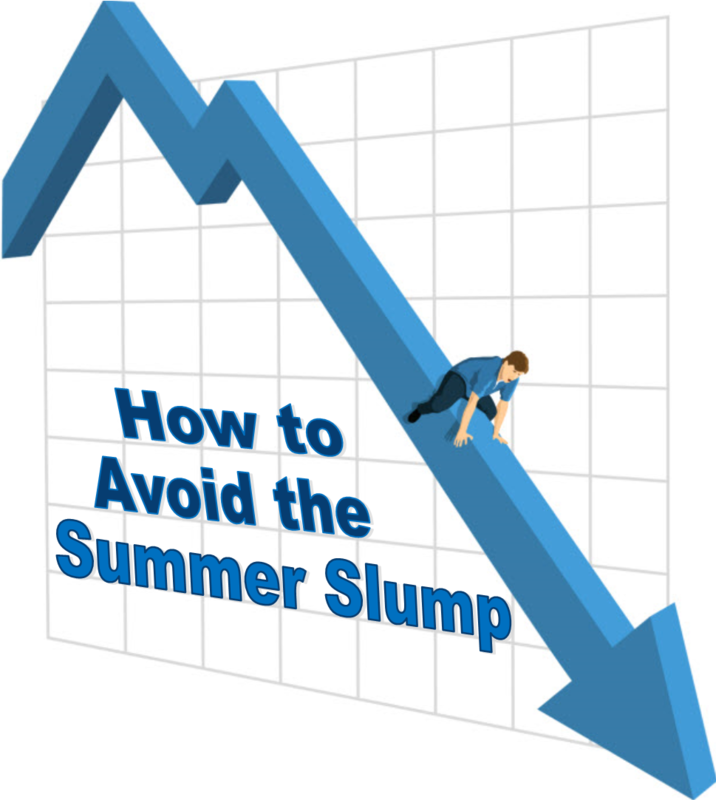 There are those who’ll say, “Oh, it doesn’t matter – it’s summer and no one does much business this time of year.” And then others will say, “Let’s just wait until summer is over and hit the ground running after Labor Day.” There it is: the summer slump. Here’s how to avoid it. This is a great time of the year to do the things you may not otherwise have time to tackle. 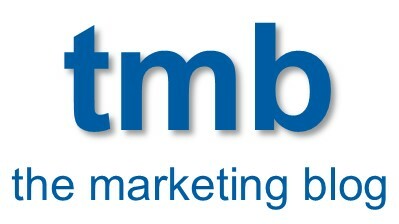 Right off the bat, revisit your marketing strategy and plan. Compare what you have already accomplished this year against what was planned. Then, you can revise accordingly: what worked well?...what didn’t? Look at what you have planned for the second half of the year and determine if that is still realistic or requires some tweaking. After revising your marketing plan, review your sales and marketing toolkit to see what needs to be refreshed, added or even removed. Pay careful attention to the tools that are helping you connect well with your market and consider tossing out those they do not. Can your existing tools be improved or are you missing any that would help you achieve your business objectives? Taking the time to update these communication tools with fresh content and the right messaging will ensure your team is properly equipped to win new business. Now turn your attention to your website. It’s easy to neglect your site while busy with other priorities, so use the summer months to spend some quality time with your website. In all likelihood, you’ll need to refine the content to maintain messaging consistency with your sales and marketing toolkit. Update images, graphics and videos along with links so that your site performs at its best. While you’re under the hood, review your title and meta tags along with your meta descriptions in case these need to be revised. This will help maintain your organic search rankings so that your business can easily be found. Obviously there are other areas you may need to spend time on, but the point is to maintain a proactive mindset without falling prey to the luring summer sun. If you use your summer to address these key marketing areas, the dog days will be your friend! Cruising along with your marketing activities can sometimes be a comfortable thing. In fact, it can be too comfortable if you have them on auto pilot. Even if you don’t, you still have to be strategic and purposeful to ensure your plans are hitting the mark and generating your desired results. That’s why you have to watch out for the marketing danger zones. The challenge here is that those danger zones are not always obvious. How do you know what they are before they hit you and inflict damage on your marketing efforts? One of the most prevalent dangers is operating in an opportunistic versus a strategic mode. If you’re always reacting to whatever happens to come along, chances are pretty good that your results will be mediocre at best. Strategy-based marketing will always outperform opportunistic approaches. Another common danger is lack of follow-up after a campaign. It’s very easy to create a campaign, exhibit at a trade show or hold a webinar, but then fail to follow up on any leads generated from these initiatives. It seems crazy to think that’s even possible, yet it is a widespread problem that plagues marketing effectiveness in businesses and organizations of various industries and sizes. Then, one of the most damage-inflicting danger zones involves inconsistencies with branding, messaging, content, product/solution offerings and communications. When you send your buying market conflicting messages about who you are, why you exist, how you solve problems and why your solution is the best option, then trouble awaits you. Introducing even an ounce of doubt in your buyer’s mind is extremely dangerous and marketing inconsistencies can easily do that. Other danger zones include a failure to respond to changing market conditions and ignoring your competitors. When influencing factors change your market conditions, you have to be ready with a solid response by either tweaking your content, messaging or solution offering…or all of them if necessary. You will otherwise be left in the dust and perceived as being out of touch. Instead, stay abreast of your market and anticipate how it will change. Similarly, you always want to keep a pulse on your competition. Pay attention to what they are doing and be prepared to respond in a way that casts a favorable light on your business. If you don’t, you’ll risk having your competitors bite you on the backside. Gird up your marketing and build a stronghold that avoids the danger zones. Be nimble and ready to respond to strategic opportunities and changing market conditions. When you take this approach, your marketing efforts will be rewarding. In an apparent move to appeal to the millennial market, Coke has unveiled a new look for Diet Coke. And, they didn't stop there. Along with the rebranding came four new flavors: Ginger Lime, Twisted Mango, Zesty Blood Orange and Feisty Cherry. 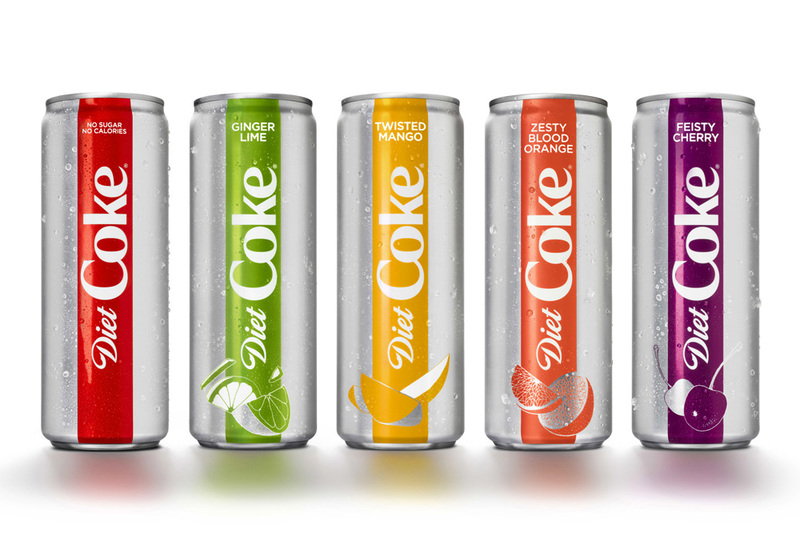 Each product is now housed within a sleek new can design to give Diet Coke a youthful appearance. The initial responses suggest that Coke is simply jumping on the bandwagon with flavored diet beverage options packaged like many others already on the market. In fact, not only are other carbonated beverages using sleek can designs, but so are alcoholic beverages that have been doing so for a while. It will be interesting to see how the overall market responds to this new look...and new flavors. Originally introduced to the market in 1982, Diet Coke today is no longer your father's Oldsmobile! Sales and Marketing Management magazine recently published our article on how to properly fuel your sales and business development engine. Download it here. In parts 1 and 2 of our Marketing Roadmap series, we covered the critical aspects related to designing and constructing your Marketing Roadmap as the new year approaches. With design and construction completed, it’s time to put your marketing roadmap in action. This is where the “rubber meets the road” – the implementation stage. When you put the specific tactics of your marketing roadmap into place, your plan comes to life. Working through your roadmap requires discipline with a constant focus on your primary objectives. When you do that, you’ll reach your stated goals strategically and avoid veering off in the wrong direction. As you make progress, you’ll want to perform routine checks that will help determine where change may be required on a project or re-prioritizing a particular marketing tactic might be necessary. While the primary framework of your marketing roadmap remains unchanged, you do want to have enough flexibility to make any required adjustments that will improve it. Stick with it and commit to working the plan. When successes occur, capture them and document how they occurred. You will want to know why certain things worked well and whether or not those accomplishments can be replicated. Compare actual performance results against those that were planned. Take the time to analyze these situations as they may represent excellent opportunities for a more efficient marketing implementation process. As you work your marketing roadmap, make sure you are supporting your internal customer – the sales team. Your marketing efforts are providing the fuel for your sales engine – don’t deprive your production engine from operating at its highest level. When working your plan, ensure that your sales and business development team is receiving exactly what they need from marketing. And, be sure that you have reciprocating communication channels established so that your sales team provides marketing with input that will help the team be successful. Venturing out without a plan to reach a desired destination is risky and not usually considered a wise move. The same can be said for having a strategic marketing plan that sits on a shelf. You have to work your plan to get results because the process is a continuous one. As you do, be flexible and adaptable. Be willing to make changes when and where they may be required. Capture successes as they occur and capitalize on new opportunities. Having this mindset and commitment to your marketing roadmap will deliver the results your business needs. We have now covered the essentials behind marketing roadmaps: Design, Construction, and Implementation. Taking this approach to your marketing planning and execution will help ensure that your new year starts off on the right track and continues to progress along the pathway to your desired business destination. In part 1 of our Marketing Roadmap series, we covered the importance of designing a Marketing Roadmap in preparation for the new year. By now, your design work is finished and you are well into the construction phase of your marketing roadmap. As you build out your roadmap, stay focused on the connecting points to your market. The best way to know which routes to include is to drill into the market data and intelligence that indicates the market behaviors, trends, and habits of your buyers. This information should prove to be a goldmine for helping you know the best way to bridge the gap between your offerings and your potential customers. When finalizing your roadmap, make sure you plan for the unexpected or obstacles that can hinder your plans. For your business, it could mean aggressive project schedules, a new competitor, a lost customer, budget cuts, a challenging new technology, and the like. Although it is nearly impossible to avoid all obstacles, being ready for the unexpected will help reduce the impact. Sometimes the plan takes a detour based on unforeseen occurrences. This is why preparing for the unexpected with a contingency plan is important. When this happens, remain flexible and adapt to the situation. These potential setbacks may actually turn into opportunities. As you begin to wrap-up construction of your marketing roadmap, take the time to review all of the components to ensure you have the right strategy and tactics for achieving your business objectives. Give attention to the tools you’ve included that will help you connect with your buying market and be sure you have the resources in place to implement and manage the plan. With your marketing roadmap near completion, you are one step away from putting the plan in place to drive revenue-generating opportunities. In part 3, we will address Marketing Roadmap Implementation. Feel free to share this on your favorite social media sites and email it to a colleague or friend.